The beauty of a medical mission is you find yourself in situations that just might not happen at home. In an effort to increase awareness about cleft lips and palates and our organization, Mending Faces, we set up an impromptu radio interview with Radio Bomba. I was the Mending Faces spokesperson. I have never done radio, so the prospect seemed exciting and a bit nervewracking, but the cause is a great one….so I thought “why not”! On mission my motto is…..show up, suit up and do what you need to do to get the job done. When we arrived at the station, there was a politician being interviewed. We met her on her way out, a very pretty Filipina wearing a yellow dress with a purple scarf; she told us the colors signify strength for women. I mentioned to her I remembered Corazon Aquino and the yellow dress that she wore. She was pleased that I understood and could relate. 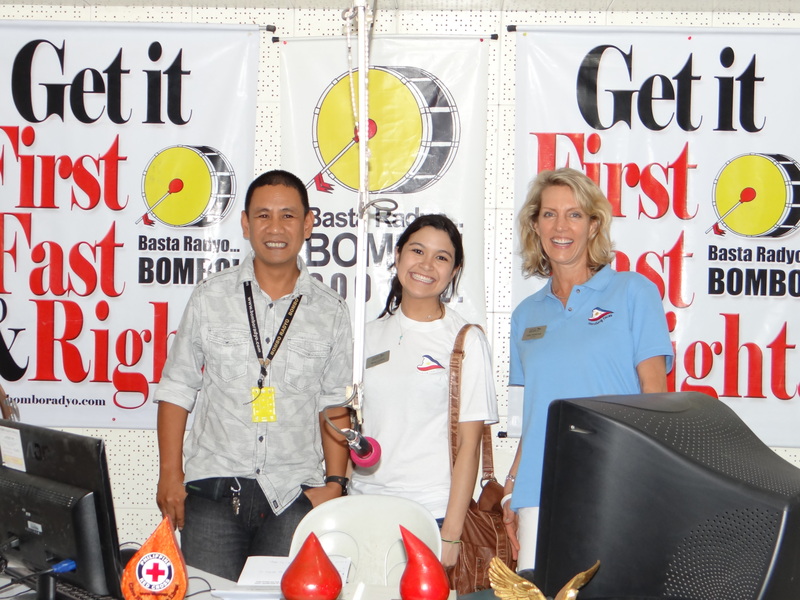 We met with a “very expressive” D.J., the station manager for Radio Bomba. 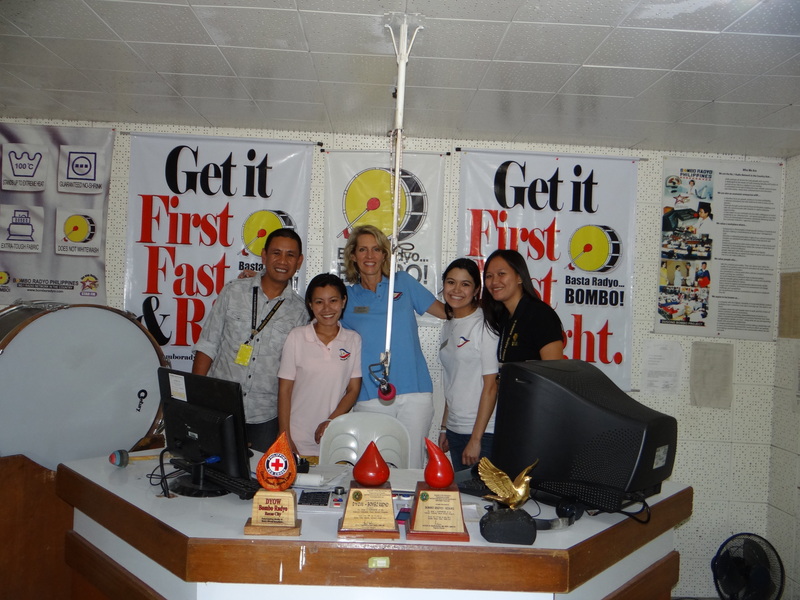 We talked with him on the air about our group, what we thought about seafood (Roxas City is the seafood capital of the Philippines), why we came to Roxas and that we all traveled such a long distance to perform free surgeries. He was grateful and it struck me that he found it amazing we were doing this all for FREE. It was gratifying as within 3 minutes of the interview, we received 15 text messages from people inquiring about cleft palate surgeries. At least one of which who will be screened for surgery tomorrow. I felt satisfied as we were able to connect with the community. Great day!